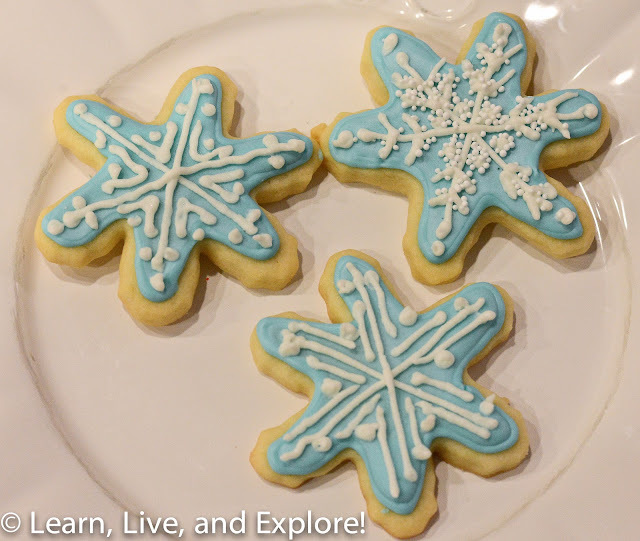 Holiday Cookie Gifts ~ Learn, Live, and Explore! It's December, so that means it's time to bake cookies! 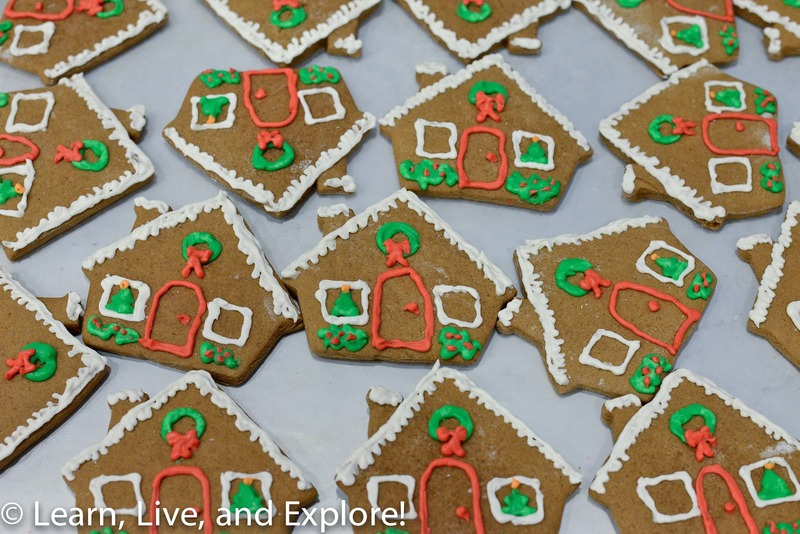 Ideally, I would have hosted a cookie swap party, but I just couldn't find a convenient time. So instead, I spent the weekend baking for friends and neighbors. If you've read other posts, you know that I'm obsessed with my recent discovery of speculoos, otherwise known as the gingerbread/graham cracker cookie spread yumminess called Biscoff. 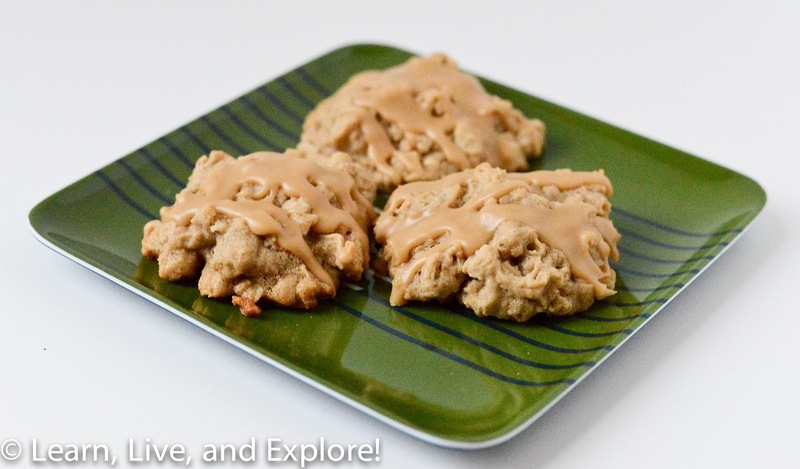 So when I saw these Biscoff Glazed Soft Oatmeal Cookies from Bake at 350, I knew I had to make them to spread the skeculoos joy! Growing up, I remember the one time of year my mom made Mexican Wedding Cookies was Christmastime. 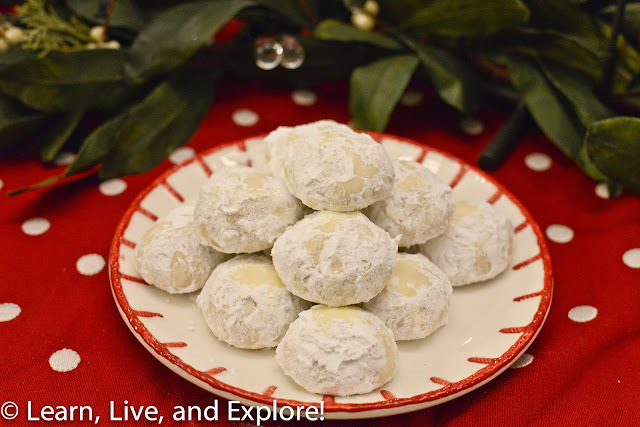 I love all the messy powdered sugar and the small "pop in your mouth" size of these pecan flavored balls. 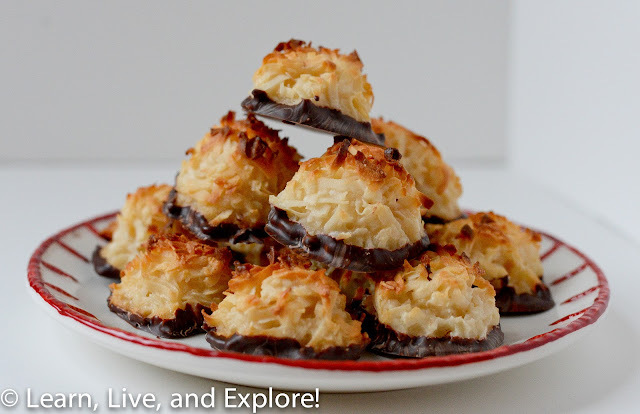 If you want to make a super easy cookie, always consider Coconut Macaroons dipped in chocolate, or as I prefer, not dipped in chocolate. All you need to make these is sweetened coconut from a bag, an egg, vanilla extract, and a can of Eagle sweetened condensed milk. 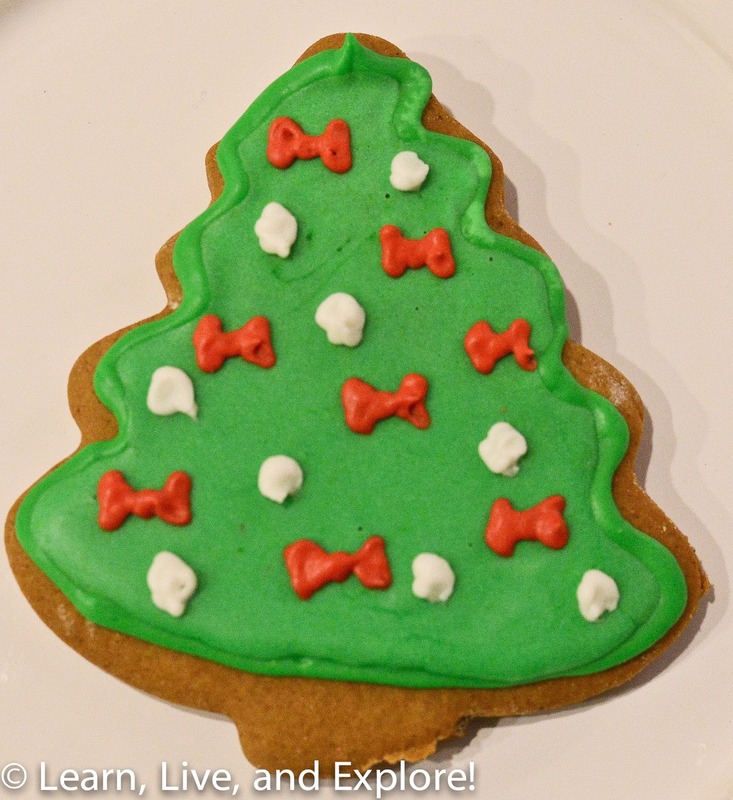 And the recipe yields a lot, so it's a very cheap and delicious gift. 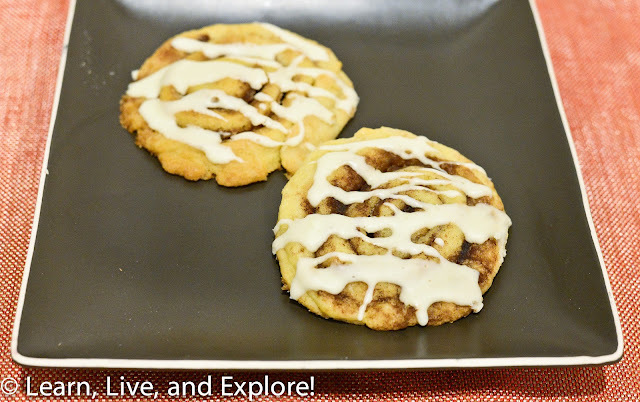 I saw these Cinnamon Roll Cookies from Picky Plate when looking for ideas, and they seemed simple enough. What I discovered, though, was that it was hard to get a good looking rolled cookie slice to bake. 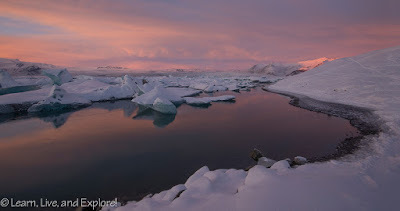 Moreover, the cookies come out really soft, and they fall apart often. They taste good, though I may have done a blend of white and brown sugar. One more thing, these are best if you bake and eat them the same day. 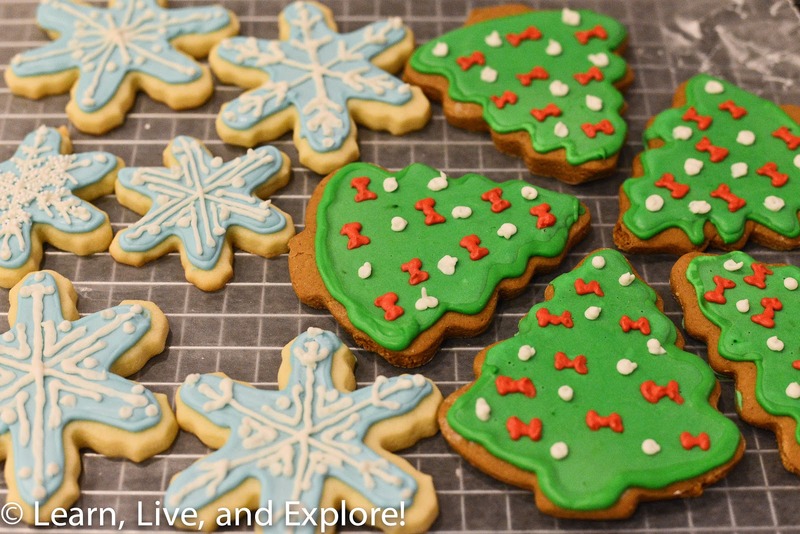 And, of course, it isn't Christmas without lots of sugar and gingerbread cookies decorated with Royal Icing. If you want a fantastic book that gives you tips on how to decorate cookies, consider purchasing Decorating Cookies: 60+ Designs for Holidays, Celebrations & Everyday by the blogger who writes Bake at 350.